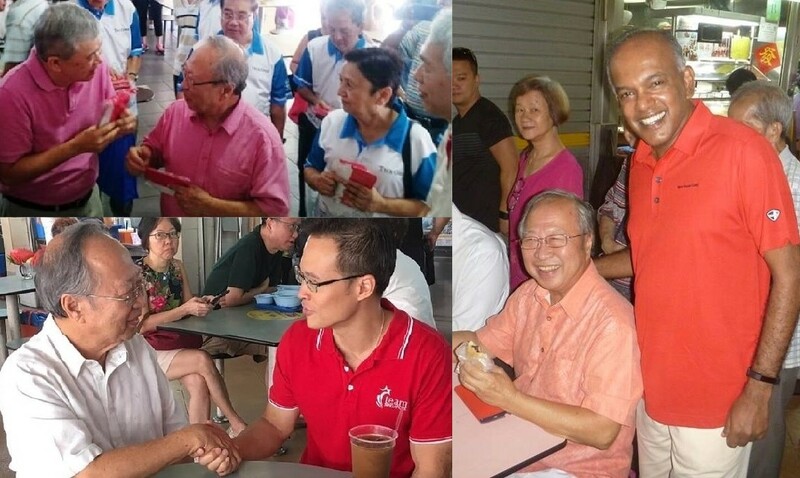 Yet another ruling party Member of Parliament (MP) appeared to “bump into” Dr Tan Cheng Bock at a hawker centre last weekend. People’s Action Party (PAP) politician Ang Hin Kee met Dr Tan as he was having breakfast at the Ang Mo Kio Market and Food Centre at Block 409, Ang Mo Kio Avenue 10 on Saturday. Dr Tan had been having breakfast with founding Prime Minister Lee Kuan Yew’s younger son and current Prime Minister Lee Hsien Loong’s younger brother, Lee Hsien Yang. Their meeting took place in Ang Mo Kio Group Representation Constituency (GRC) – the GRC that PM Lee himself leads. Ang Hin Kee is the third incumbent PAP MP to “bump into” Dr Tan in the span of a mere two weeks after Dr Tan announced that he is forming his own opposition party. 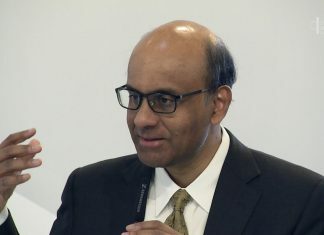 On 18 Jan, Dr Tan – a former PAP MP himself – announced that he has applied to register a new opposition party with fellow ex-PAP cadres, called the Progress Singapore Party. A day after announcing his return to politics, Dr Tan visited Chong Pang Hawker Centre at Yishun Ave 5. Dr Tan bumped into Law and Home Affairs Minister Mr K Shanmugam at the food centre. Despite their very public differences in the past, both men were all smiles as the camera clicked a picture of them at the hawker centre. Less than a week after he visited Chong Pang Hawker Centre, Dr Tan visited Tampines Hawker and Food centre on 26 January. Again, Dr Tan bumped into another PAP MP, Tampines GRC’s Desmond Choo, who gave Dr Tan a Chinese New Year package. Just over two weeks after he announced his re-entry to the political field, Dr Tan visited PM Lee’s own GRC with PM Lee’s younger brother and bumped into Ang Hin Kee. This means that three PAP MPs bumped into Dr Tan in within 15 days of him announcing his return to politics. While some have speculated that Dr Tan’s encounters with these PAP MPs could be borne out of the PAP’s nervousness at the prospect of facing off with him at the polls, it is unclear whether the encounters were deliberately planned by the MPs or truly accidental.